Easily measure the radon levels accumulated in your home from soil and building materials with easy to use new technology digital alpha particle monitors. Which measuring devices we recommend. Not the type of meter you are looking for? Please check our guides on low frequency meters (measure radiation from power lines, cables, transformers, electric devices laptops etc), high frequency meters (measure radiation from cordless phones, wireless modems (Wi-Fi), cell phone masts etc), radioactivity meters (measure beta, gamma, X ray radiation from subsoil, food, building materials, tiles, granite counters, nuclear accidents, ionization smoke detectors, medical equipment etc) or check the frequently asked questions about electromagnetic field meters! We advise you to read all the following information about how to use a radioactivity meter and which are the important features to look for, but if you are in a hurry to see the recommended meters go straight to the radiation meters comparison table at the end of the article. What do radon monitors measure? 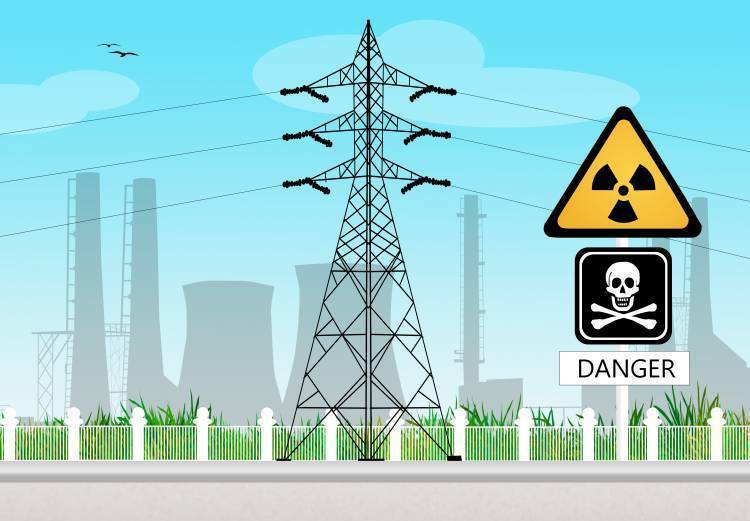 Radon meters, alpha particle counters, detectors, dosimeters and monitors measure the concentration of the radioactive radon gas which is emitted from the soil, enters buildings by pipes and cracks and is the main source of population exposure to ionizing radiation. Why is measuring radon important? Radon is, after smoking, the second most important cause of lung cancer in many countries. Causes of between 3% and 14% of all lung cancers. It is the leading cause of lung cancer in non-smokers. The lower the concentration of radon in a home, the lower the risk. There is no threshold below which radon exposures carries no risk. The likelihood of lung cancer increases by 16% for each 100 Bq / m3 increase in the concentration of radon! In the European Union, lung cancer is the most common cause (about 20%) of cancer death (Radon Prevention and Remediation (RADPAR) funded from the European Commission DG SANCO Second Public Health Programme). Based on epidemiological investigations in nine EU countries it was estimated that approximately 9% of deaths from lung cancer may be due to exposure to radon in the home. Read more about radioactivity and its effects..
Where are higher levels of radon recorded? Higher radon values are recorded in the lower floors of buildings in places with poor ventilation, caves, hot springs, mines and other underground spaces and near high or medium voltage cables (the elevated electric field values increase up to 18 times the accumulation of radon particles (Henshaw DL, Ross AN, Fews AP, Preece AW., Enhanced deposition of radon daughter nuclei in the vicinity of power frequency electromagnetic fields., Physics Laboratory, University of Bristol). Some areas have more elevated radon levels than others due to subsoil or due the building materials used in the area. Radon maps of various areas are available online. 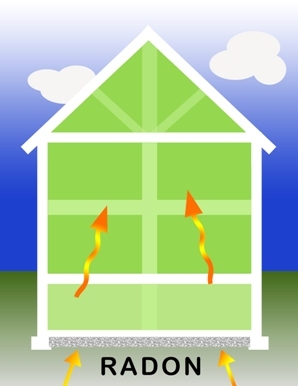 The current energy saving practice of using air-tight doors, windows and other building materials for thermal insulation purposes increases the concentration of radon in modern homes. A reputable company or country of manufacture could mean better quality and extended operating life. Being more geographically close might be helpful if there is a malfunction of the meter or you need to send it back for recalibration.  This is the average price of the meter sold by the various online sellers shown on the bottom of each table. 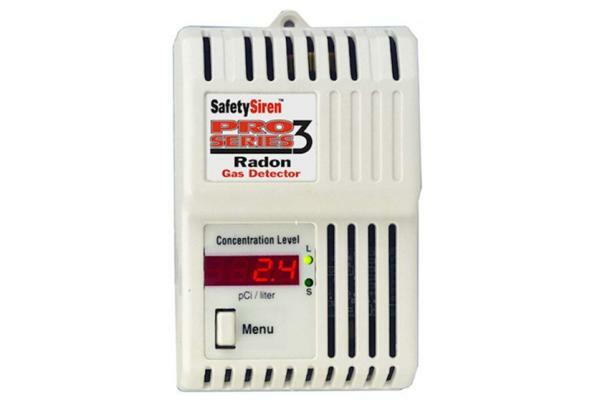 The main types of radon detectors are active and passive. Passive radon detectors such as cheap charcoal canisters accumulate gas over a specified period of type (usually over one month) and then are shipped to a laboratory for analysis. The problem with such detectors is that they are disposable and their supply must be constantly replenished, they require extra handling to ship the dosimeter to a laboratory and thus require additional wait times to receive analysis results. 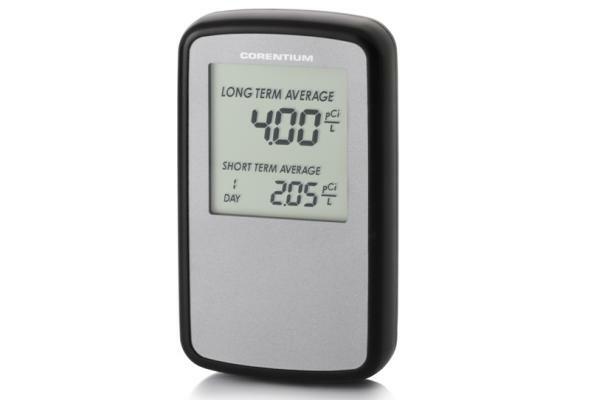 On the other hand active radon testing devices such as radon monitors are a better choice today since they continuously display average radon concentration and can give us an estimation of radon concentration more quickly (at least after 5 days). "The detection of radon is based on the principle that radon gas diffuses into a detection chamber. When the radon atoms decay they emit energetic alpha particles. The alpha particles are detected by a silicon photo diode. Every alpha particle generates a small signal current when it hits the photo diode. By the use of a low-power amplifier stage the signal current is converted into a larger voltage signal. The maximum amplitude of the voltage signal is detected and sampled by an analog to digital converter (ADC). The amplitude is proportional to the energy of the alpha particle that hit the photo diode. The brain of the monitor is a micro-controller that registers the time and energy of every detected particle. This information is used to calculate the mean radon gas concentration for daily, weekly and yearly periods." Radon monitors record the radon concentration per cubic meter in Bq / m3 where Becquerel (Bq) is the number of radioactive disintegrations per second or in pCi/lt (pico-curie per liter), where 1 pCi/lt = 37 Bq/m3. We recommend the radon monitor to be able to measure up to 1000 Bq / m3 or 27 pCi/lt (most recommended safety levels are <400 Bq / m3 or 10 pCi/lt). What are the safe levels of exposure to radon? According to the World Health Organization (WHO, Radon and cancer) there is no threshold below which radon exposures carries no risk and the likelihood of lung cancer increases by 16% per 100 Bq/m3 or 2.7 pCi/lt increase in radon concentration! The average radon concentration values differ from region to region and are higher indoors! In USA the average values are 15 Bq / m3 or 0.4 pCi/lt outdoors and 50 Bq / m3 or 1.3 pCi/lt indoors (US Environmental Protection Agency, A Citizen's Guide to Radon). Most radon monitors do not offer data logging but continually store measurements and show us the daily, weekly or yearly averages. A digital display gives you more accurate readings and has a more modern and professional look. Audio alarm warns you when the set alarm threshold has been exceeded. Higher accuracy is good but it is more important for professional users and not for amateurs. If you plan to use the meter a lot then you should definitely take into account the battery type and life of the batteries used, because changing batteries frequently could elevate the operating cost significantly. Some meters are rechargeable or come with their own power cord so you don’t have to purchase new batteries every little while. A good quality plastic case is very helpful for professionals or for those who frequently measurements in various locations. If you need to check that everything works well in the future you might consider sending it for calibration (or recalibration if the meter was originally calibrated). This is especially important for professional users. In that case you should choose a manufacturer that offers this service. Also it would be better if the manufacturer is geographically close to you. The longer the warranty the better, especially if the meter is expensive. We try to we recommend reputable companies, with good customer service, that can ship the meters worldwide. Being more geographically close might be helpful if there is a malfunction of the meter, so we usually recommend one seller from the USA and one from Europe. Also, buying from an overseas company means there will be some extra shipping costs and possible tax charges in the customs office. Finally, please be sure to check all the mentioned features (warranty, prices etc) also in the sellers page, because they could be different from those mentioned in the following comparison tables or have changed since the time this article was written. Monitors which continuously display the levels of the proven carcinogen radioactive radon gas which is accumulated in your home from soil and building materials. Great device with technologically advanced internal architecture normally used in commercial-type detectors. Continuous display of daily, weekly and long term average radon concentrations. The Canary preserves measurement reliability under normal conditions of home use for many years without requiring an annual external calibration. Without annual calibration, the estimated life of the device is 10 years or more. Affordable solution for monitoring the radon level in home with an easy-to-read digital display of short or long term average readings + audible alarm when readings are too high. Can be calibrated from the manufacturer.